[/av_heading] [av_textblock size=” font_color=” color=” admin_preview_bg=”] Charlie’s early career ranged from tiling on the Gold Coast to a sawmill operator, before returning to his roots and starting his own business at 24, managing properties for third party owners. At its peak, AMC ran 120,000 cattle across 24 properties in northern Australia and Papua New Guinea, before expanding into farming and horticulture. 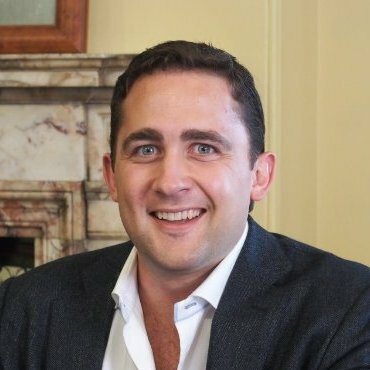 Charlie worked with a range of investors including Terra Firma, Qatar Investment Authority and Guinness Peat Group to invest successfully in Australian agriculture, before forming a partnership with Sydney private equity firm, MH Carnegie & Co.
After experiencing the unavailability of suitable capital for farmers, Charlie co-founded CommStream Capital in 2015, with the aim of providing an alternative source of capital to help farmers develop land, expand production and fund succession. Charlie is also the General Manager of “Haddon Rig,” a 23,000 hectare mixed livestock, farming and irrigation enterprise near Warren in Central Western NSW. In addition to one of Australia’s leading Merino studs, Haddon Rig operates a 12,000 hectare cropping program and up to 700 hectares of irrigated cotton. Haddon Rig is owned by the Falkiner family, of which Charlie’s wife Eleanor, is one of four daughters. With the recent addition of Charlie and Eleanor’s daughter, Raffaela, to the family, Haddon Rig now has the fifth generation on-farm.